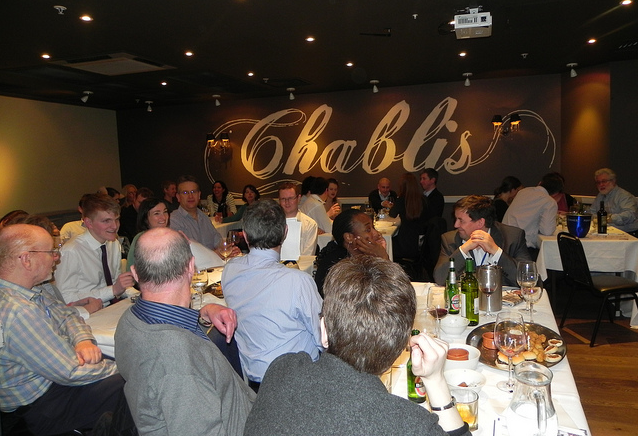 Loyita Worley, Senior Manager of EMEA Library Operations, shares her first impressions of the annual Winter Warmer Quiz 2013. 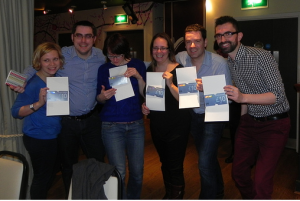 There was a good turn out for the annual Winter Warmer Quiz which took place on 29th January. It was my first attendance at one of these and I didn’t quite know what to expect. So it was nice to see familiar faces when I arrived and to have the chance to chat to people before the quiz started. I was a member of the team called the ‘Super Injunctions’ from which you will deduce that we consisted mainly of legal information professionals. 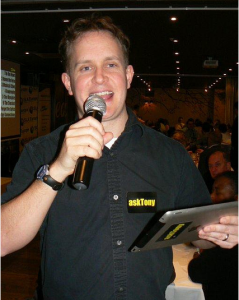 The quiz was hosted by a professional quiz master from AskTony and the questions were tough but not overly so. Much wine was drunk throughout the evening and the food served half way through was very welcome and quickly eaten. As you might expect the heckling and decibel level rose as the night wore on! I would like to say that we all took it very seriously but in fact it was a lot of fun as well as being competitive. The victorious winners were ‘Dewey and the Decimals’ and we came a very respectable 7th out of the 16 teams there. We eyed the winners prizes longingly but were relieved to have escaped the dreaded wooden spoon! It was a good evening – sponsored by Acquire Media – and an excellent way to network and make new friends. Did you attend the quiz? See if you can spot yourself in SLA Europe’s photos of the evening.